What Do Different Meat Labels Mean? What Do Meat Labels Mean? Grass-fed, organic, free-range—what do these terms all mean? Make sense of the meat counter with this guide to meat labels. You'll see that many of these common labels are vague or unverified. The best way to buy meat raised with specific standards is to find a producer or farm that follows the practices that are important to you. For more specific information see these articles on Types of Beef, Cuts of Pork and Pastured Pork, Types of Chicken, and Which Turkey to Buy. 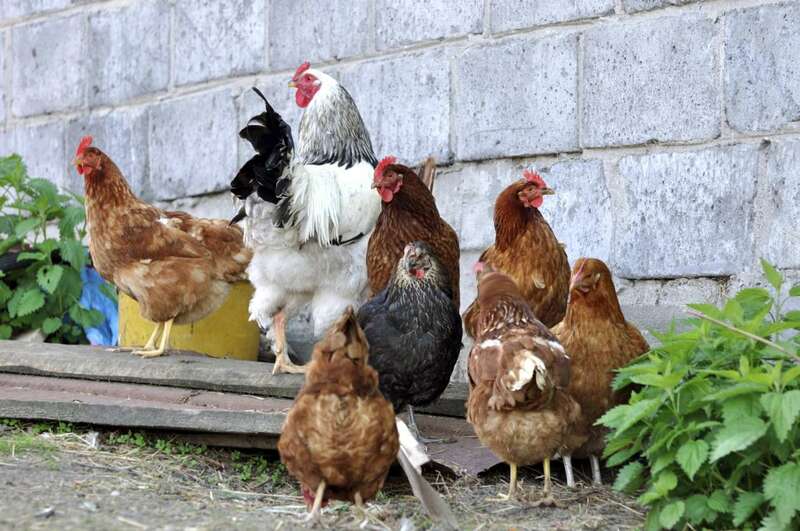 There are standards for "free-range" (or "free-roaming") for poultry, but not for other meat. Chickens labeled "free range" must have access to the outdoors, although this need not be pasture and may be dirt or gravel areas, or even a slab of concrete. If the life the chicken led is important to you, research the farm or grower on the label. Since there is no legal standard for "free range" when applied to eggs or to meat other than chickens, the label doesn't have any teeth when on those products. In most cases, however, it means the animal has access to the outdoors. Left to their own devices, cattle would eat grass their whole lives. Conventional beef (and plenty of organic beef) are brought to feed lots at the end of their lives to be fattened up on grain. Beef from cattle that has been raised exclusively on grass has less saturated fat and more nutrients that grain-finished beef. USDA grass-fed beef has only has a grass diet and access to pasture year-round. The program is voluntary, however, without third-party verification. Labels that read "100% grass-fed" or "grass-finished" and verified by a third party, such as the American Grassfed Association, will guarantee the beef has only been grass and hay fed. "Natural" is, perhaps, the most misleading label on meat. The USDA defines "natural" and "all-natural" as a food product that has been minimally processed and contains no preservatives or artificial ingredients. Since this is all true of all fresh meat, this label is relatively meaningless. Standards for "naturally raised" are being developed by the USDA. Presumably they will prohibit hormones, antibiotics, and animal by-products. For now, this label has no legal meaning or verifiable standards. Producers must submit documentation that the cattle were not administered any antibiotics to label their beef "raised without antibiotics," but there isn't any third-party verification or testing. The same holds true for chicken and pork. Meat labeled "no hormones administered" has, according to the producer, not been given growth hormones. While the producer must submit paperwork to that effect, it is not third-party verified. Be suspicious of labels that say "hormone free" or "no hormones," since all meat contains naturally occurring hormones that are part of how animals live and function. USDA-certification for organic meat forbids the use of growth hormones, antibiotics, genetically modified feed, or animal by-products in raising the livestock. Beyond those practices, it does not address the treatment or living conditions of the animals. There is no legal standard for "pastured," but it is usually used to emphasize that the animal has been raised primarily outdoors on live pasture where chickens can peck and pigs can root. What Do Dairy Labels Mean?